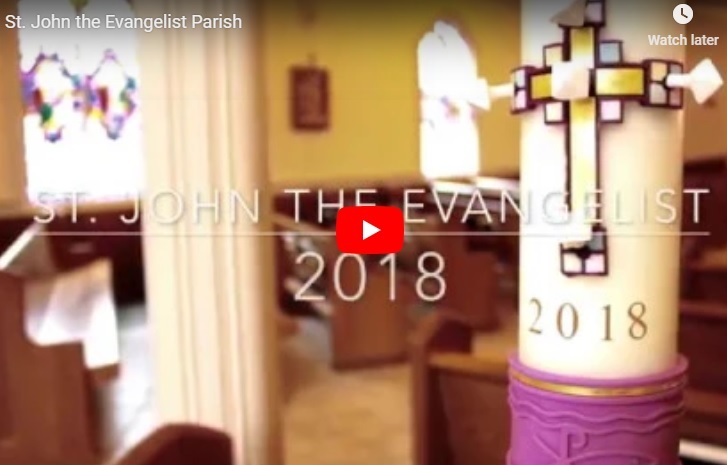 The St. John the Evangelist Religious Education Program provides our children and adolescents with ongoing faith formation, spiritual encouragement, and development of the understanding and practice of being Catholic in the world today. As always, parents are the primary educators of their children, and the Religious Education Program serves to support and enhance their important mission. The programs incorporate meaningful learning experiences designed to inform, guide, and celebrate understanding of the Catholic faith. Children actively participate in prayer, worship, and service to others while continuing to develop their own personal relationship with God. St. John’s offers programs for children in Grades 1-6 and Grades 7 & 8. We also offer a Collaborative Confirmation Program (Grades 9 & 10), as well as a Collaborative Youth Ministry Program for Grades 9-12. We offer both traditional programs and a Family Cluster model, which provides inter-generational learning for parents and children. Details on each program can be found using the menu to the right. The program runs from late September through early May. Registration for the upcoming year begins in the spring. We extended the regular registration period through June 30th. (A $25 per child late fee is required if registering AFTER the deadline.) PLEASE REGISTER AS SOON AS POSSIBLE SO THAT WE CAN PLAN FOR OUR 2018-2019 YEAR ACCORDINGLY. Any registrations received after June 30 will incur the $25 per child late fee and placement into our Wednesday program will NOT be guaranteed. We will contact those families that register for Wednesday classes but cannot be accommodated. PLEASE CONSIDER BEING A RELIGIOUS ED TEACHER: We once again find ourselves short teachers for our Religious Education program. You do not need any special skills or abilities, just the willingness to share your faith with the children of our parish. We provide materials and support to help you and are especially in need for help on Wednesday afternoons. Whether you are a parent, a grandparent, a high school or college student, or just a parishioner looking to encourage the youth of the parish in their faith, we want to talk to you. Please contact Linda Messore at linda.messore@sjspwellesley.org to set up a meeting to discuss options and opportunities. Thank you in advance for considering to volunteer.